I was not always a Migos fan. “I Get The Bag” still gets regular, consistent play in my car as I drive through Los Angeles selling drugs in my head. Needless to say, I’m hip to a lot of Migos’ music now, and I can identify them individually by name. 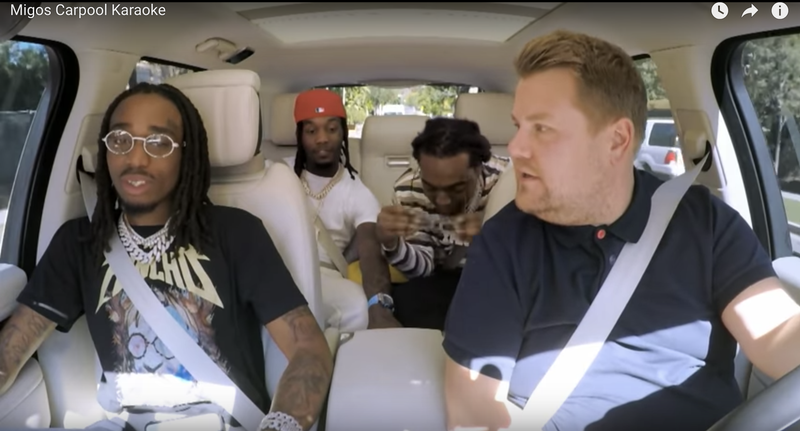 So when the video of them participating in James Corden’s regular bit “Carpool Karaoke” popped up in our work Slack today, I was intrigued and I watched. Not only did they perform parts of “Walk It Like I Talk It” and “Bad and Boujee,” but they also performed Cardi’s verse from “Motorsport”—and as The Root’s resident Cardi-ologist, you know that was right up my alley. The trap rappers also surprised Corden with a bag that contained more than $200,000 in cash and took him clothes shopping. All in all, it is the best 14 minutes and 8 seconds you will spend today as you watch it.